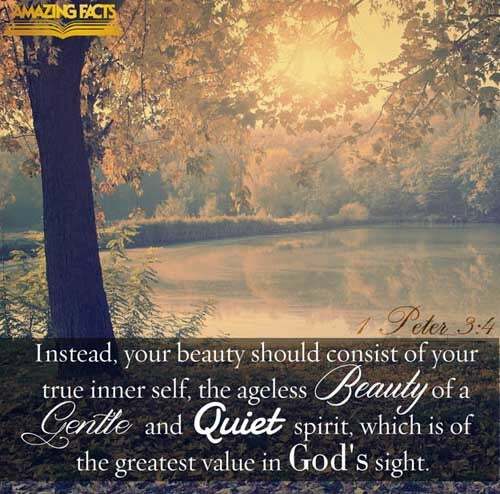 It is right to love beauty and to desire it; but God desires us to love and seek first the highest beauty, that which is imperishable. No outward adorning can compare in value or loveliness with that “meek and quiet spirit,” the “fine linen, white and clean,” which all the holy ones of earth will wear. This apparel will make them beautiful and beloved here, and will hereafter be their badge of admission to the palace of the King.